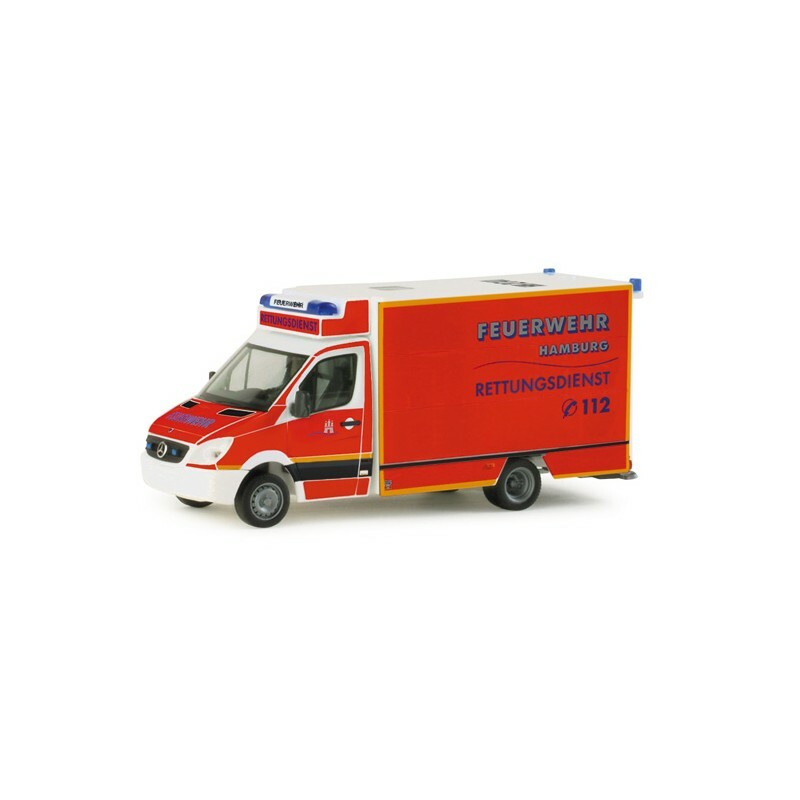 > Museum>* Herpa Cars 048125 Mercedes-Benz Sprinter "Hamburg fire department"
* Herpa Cars 048125 Mercedes-Benz Sprinter "Hamburg fire department"
Herpa Cars 048125 Mercedes-Benz Sprinter "Hamburg fire department"
In Hamburg, the fire brigade is also responsible for transporting injured people which is why they are equipped with the necessary equipment and fleet. 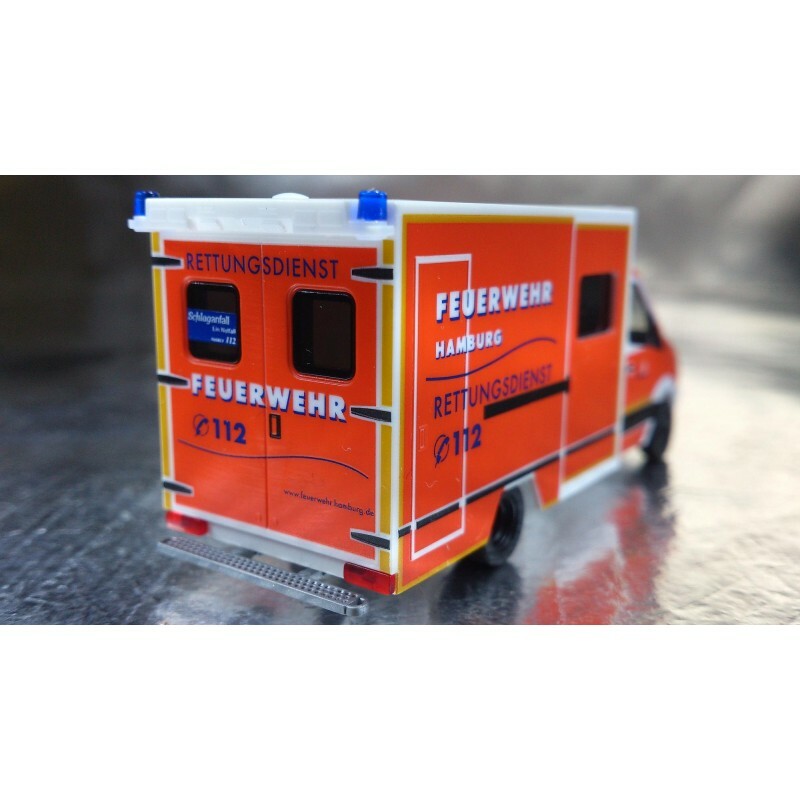 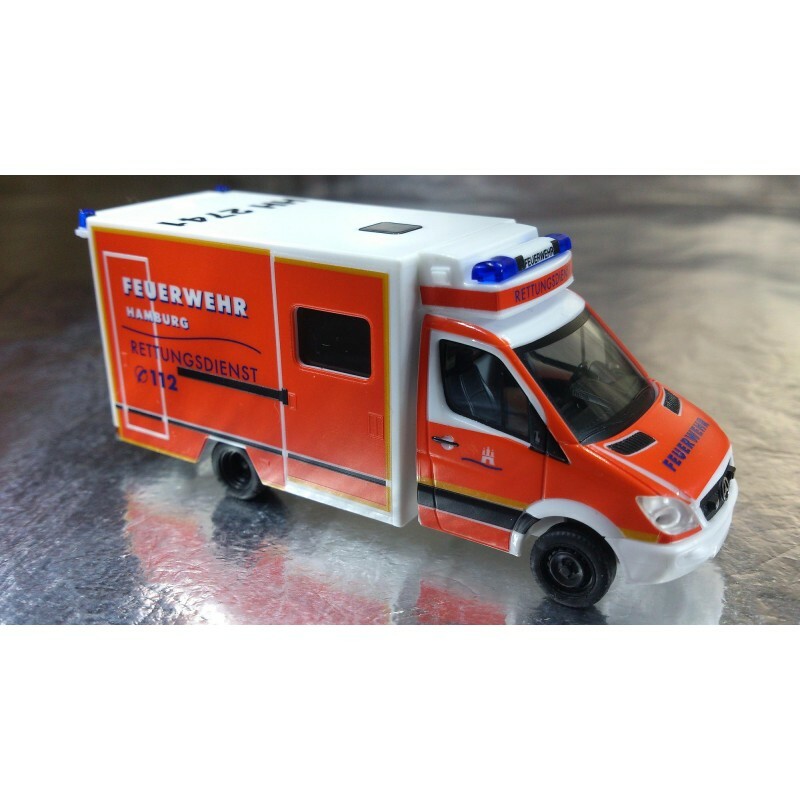 Role model for our miniature was a Mercedes-Benz Sprinter with a Fahrtec ambulance body. 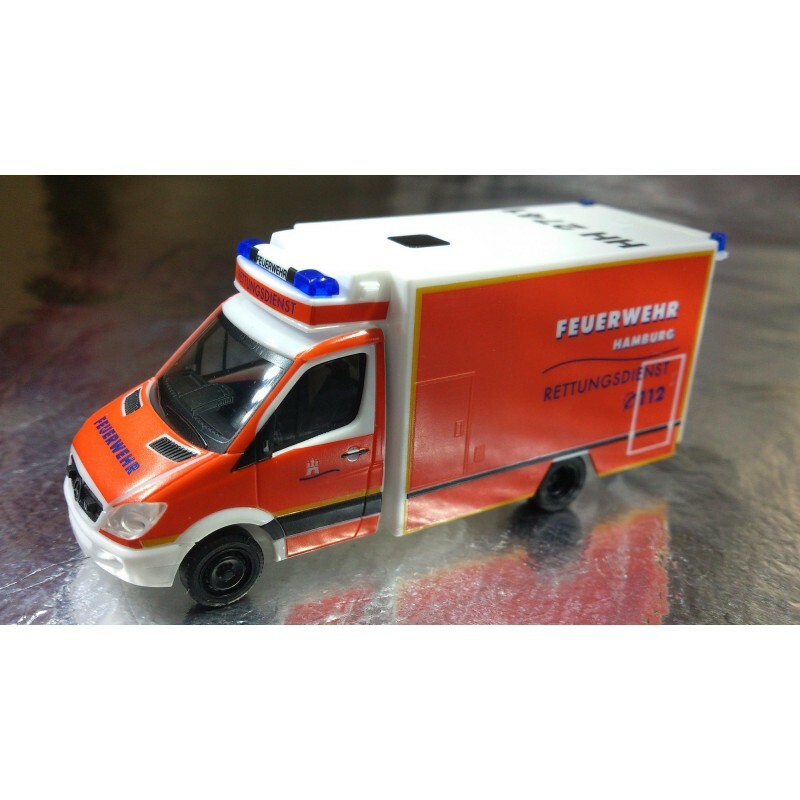 Path: Home > Museum > * Herpa Cars 048125 Mercedes-Benz Sprinter "Hamburg fire department"